Month 1 is over and it was pretty great. We have lot’s of new investigators and the work is pretty smooth. The members participation is pretty lacking, but we’re finding an ok amount of people on our own efforts. So far for the month of November (since I got here) we have 1 baptismal date and for December we have 4, pretty exciting! Every morning, my companion and I run roughly 4km… I hate it so much haha. We then go through our normal routine of studying and we enter the area at around 11:00. We normally have appointments, but lately we’ve had a lot of fall throughs. We have a car, but we are walking a lot, and it is really, really hot. For lunch we either get Sodza at a certain place, or we get Chicken Inn, or Pizza Inn, which is seriously a blessing. It’s basically a KFC and Pizza Hut right next to each other. We then get home at around 8:30 and do what ever needs to be done before bed, and then I just collapse. I am constantly just so tired. We don’t have an A/C and the electricity is off half of the day, so even though I’m tired I can never sleep. The branch president and the rest of the branch is really, super nice. 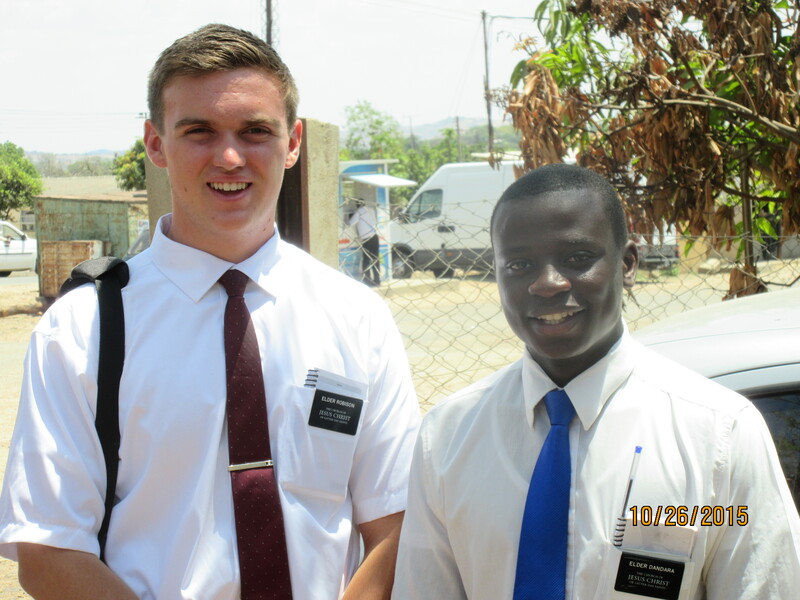 They love hearing about America, and love hearing me bear my testimony. We usually get dinner at member’s homes and surprisingly I haven’t had much sodza. And the members are actually like addicted to coke so I drink it all the time. Some of the members are hard to understand, but most of them are ok. I actually can never pick up the phone because of how hard it is sometimes to understand them haha. 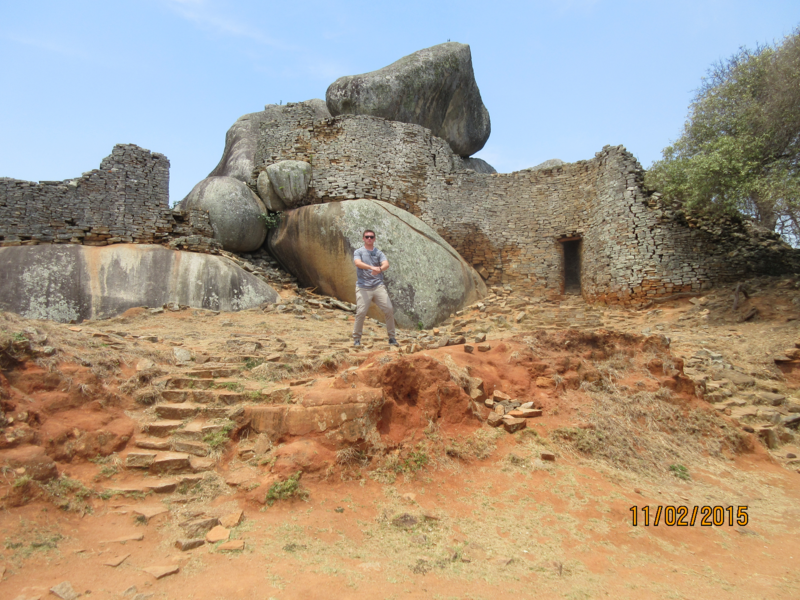 So today I got to visit The Great Zimbabwe! It’s basically a tiny castle on a mountain that looks over a little village that was built like 2000+ years ago. It was so cool. There’s a resort here that one of the members works at and we got to get a tour. The monkeys and baboons run rampant here! I love it so much! The culture here is really unique and I’m actually really excited to get to know more. I’ll send some pictures. In my studies I came across an awesome scripture in the BOM. I believe it’s 2 Nephi 28. It’s basically God’s testimony of the BOM. Could you believe that? I agree, why would you reject more words from God himself? Doesn’t He love all of his children? I have a testimony of the Book of Mormon too. I know that it’s the word of God, and I know that it was given to us to learn and to grow. The Book of Mormon can change lives as it has mine and I know that with that testimony of it’s truthfulness, we’ll come to know that; Joseph Smith really was a prophet sent from God, and this is the true church once again established on the face of the earth. Chimping at the Great Zimbabwe.